In today's publishing world, debut authors not only have to write well, but they also have to sell their own work. Many agents and editors are looking for writers who bring an existing audience to the table. 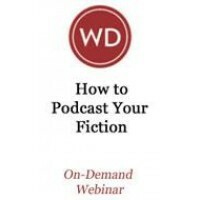 In this webinar, author Seth Harwood outlines how he used free audio podcasts to make cheap, highly effective advertising that landed him a book contract with a major publisher. Seth Harwood received an MFA in fiction from the Iowa Writers' Workshop. He has taught creative writing at Stanford, the University of Iowa, UMass Boston, and the City College of San Francisco. His first novel, Jack Wakes Up, which he first serialized as a free audiobook, was published by Random House in May 2009. Young Junius, his second novel, is forthcoming from Tyrus Books.